At the college level, Senior Day is special from a senior athlete to the senior liberal arts student working at the campus sub shop. Senior guard Garrius Adams had a foot-long sub performance ending his senior career at home with a career-high 22 points to lead the Miami Hurricanes to a 69-56 win over the Wake Forest Demon Deacons on Saturday. Adams hit 6 of 8 from the field and 9 of 9 from the charity stripe. “I was thinking nothing, I was relaxed and just happy to be out there with my teammates,” Adams stated. Rion Brown, another of Miami’s six seniors, finished with 19 points in his last home game for the Hurricanes. “I approached it like it was another home game,” Brown stated. What a difference a year makes. The win moved Miami past Wake Forest for a 10th place finish in the regular season conference standings. 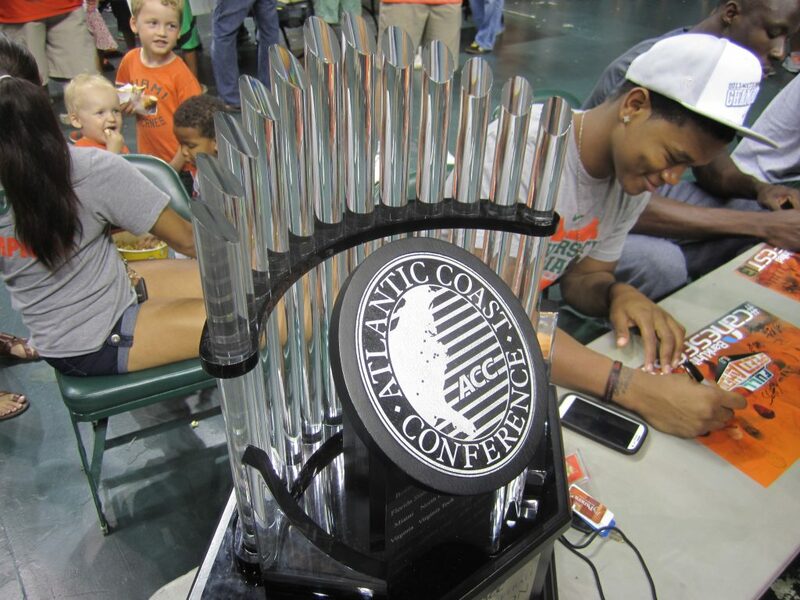 Last season, the Hurricanes took the country by storm figuratively and literally when they defeated Clemson to clinch the conference regular-season title. The Demon Deacons shot 45 percent from the field, 47 percent from three-point range, however were outrebounded 38 to 19. Wake faced a 20-point deficit in the second half. “You cant give teams easy baskets, we helped fuel their offense with second chance points,” Wake head coach Jeff Bzdelik stated. Coron Williams was 5 of 8 from three-point land and led the team with 17 points. Miami will play Virginia Tech in its ACC tournament first-round game Wednesday afternoon in Greensboro, NC, immediately following Wake Forest’s tournament opener against Notre Dame.